Specializes in spinal endoscopy, minimally invasive neurosurgery and interventional pain management. Peripheral nerve, hydrocephalus, neuro-oncology and craniofacial reconstruction are her specialties. Skilled in the diagnosis and treatment of neurologic disorders. A specialist in diagnosing and treating pain using a creative approach. Specializes in minimally invasive neurosurgery, utilizing endoscopic and percutaneous approaches to treat brain, spine and skull base disorders. Complex spinal problems involving the cervical, thoracic, and lumbar-sacral areas and pain. 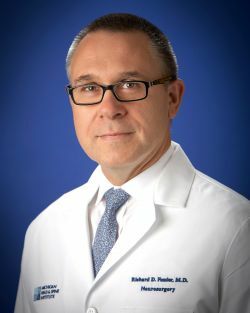 Robert R. Johnson II, M.D. Area’s expert in epilepsy and general neurosurgery. 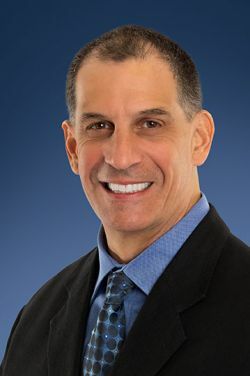 Fernando G. Diaz, M.D., Ph.D. World-renowned specialist of brain aneurysms and vascular diseases of the head and neck. Specializes in brain and spine tumors and minimally invasive spine surgery. Specializes in complex spinal disorders and treatment of cervical, thoracic and lumbar spine disease and minimally invasive surgery. Specializes in general neurosurgery, including complex spine disorders and injuries and conditions of the brain. Specializes in non-operative treatments of musculoskeletal and neurologic conditions. Leader in stroke care and vascular abnormalities of the brain, neck and spinal cord. Specializes in the treatment of complex vascular abnormalities of the brain and spinal cord. Provides non-surgical care for injuries and disorders of muscles, nerves and joints, including care for the spine. Specializes in craniofacial and skull base surgery, pituitary tumors and endoscopic surgery. Non-surgical and pain management for spinal, musculoskeletal and neurologic disorders and injuries. Neurotrauma and surgical treatment of injuries to the brain and spine. Specializes in reconstructive, degenerative spine and neurosurgical oncology. Non-surgical and interventional pain management for spinal, musculoskeletal and neurologic disorders and injuries. 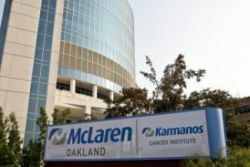 Internationally-recognized pioneer in the treatment of spinal disorders through the use of minimally-invasive surgical techniques. A board-certified Physiatrist, also known as physical medicine and rehabilitation, with a sub-specialty in pain management. Conservative management and interventional treatments for pain maximize patient functionality. Specialist in the nonsurgical evaluation and management of low back pain and neck pain. A shocking diagnosis could have brought a renown concert pianist's career to an end. Kevin put his trust in Dr. Seilesh Babu, who partnered with Dr. Jeffrey Jacob, to perform skull base surgery to treat the acoustic neuroma. This was a life-altering event for Kevin. From age 17, Stefan knew he had a brain tumor, and was told surgery was not needed. Years later he experienced facial numbness and distorted vision caused by a trijeminal schwannoma. It was skull base surgery performed by experts Dr. Jeffrey Jacob and Dr. Seilesh Babu that Stefan considers a lifesaving outcome. Sean thought he had a sinus infection...which turned out to be very large and complex tumor at the base of his skull. Doctors told him it was inoperable, until he met Dr. Jeffrey Jacob. Partnered with Dr. Seilesh Babu they performed skull base surgery and gave Sean the opportunity to raise his children. Learn more about diseases and conditions of the neck and spine in our video library. Read the latest research studies conducted by MHSI doctors and how it impacts patient care. Physiatrists and Neurosurgeons provide comprehensive care for the neck, spine and brain. 10 locations for your convenience.